Vom 09.04.2017 bis zum 10.04.2017 wurden 2 Knowledgebase Artikel veröffentlicht. All users with Horizon DaaS Platform 6.1.5 appliances must install this hotfix. For information about the hotfix for 6.1.6 appliances, see Required Security Hotfix – Horizon DaaS Platform 6.1.6 (2149500). This hotfix address a known security vulnerability. 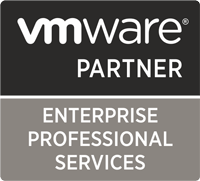 For more information about the issue, see the VMware security advisory.